This week’s project was ripped off inspired by this post. 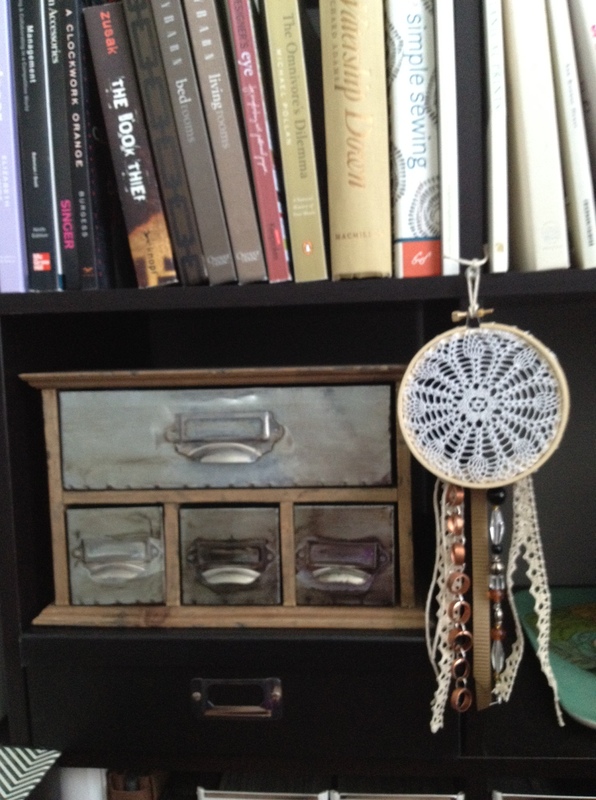 I love dream catchers – they remind me of friends I had growing up – I lived across the street from a Native American reservation and lived in a town that celebrated Native culture. 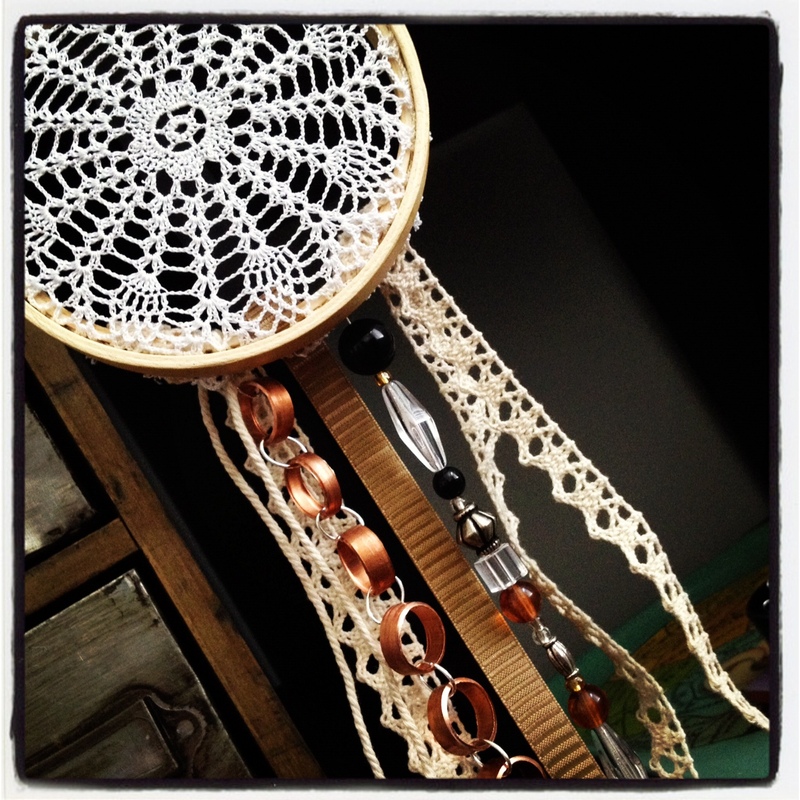 I remember having dream catchers when I was younger. 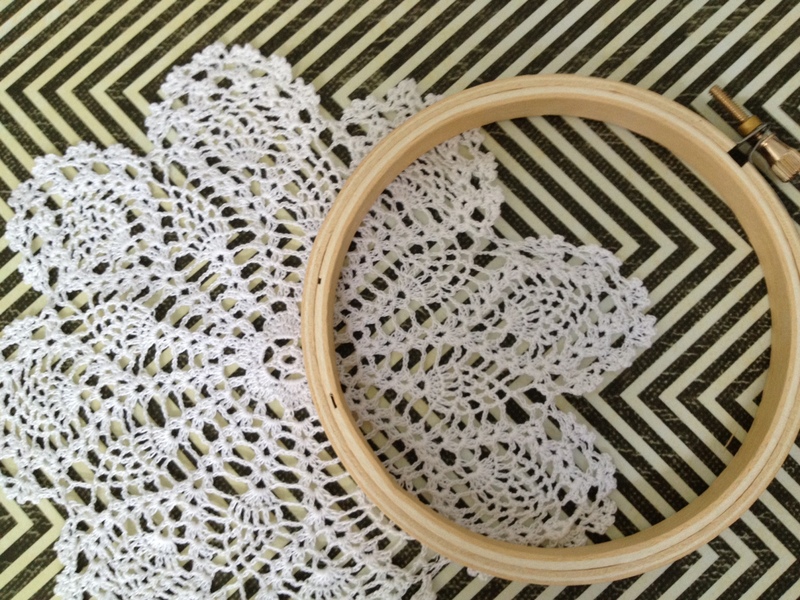 To make this, I purchased a small embroidery hoop and small doily. Then gathered up some random doodads in a kind-of earthy color scheme. I used beads, some pieces of copper pipe I cut into small rings (leftover from another project), hemp twine, and strips and ribbon and lace. 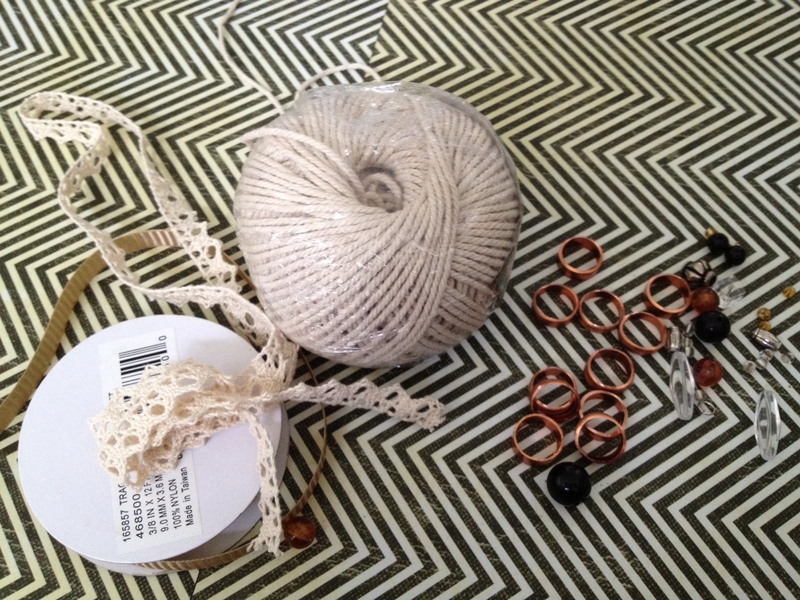 I strung the beads and copper pieces and attached them to the outter piece of the embroidery hoop. I tied on the string, ribbon, and lace. 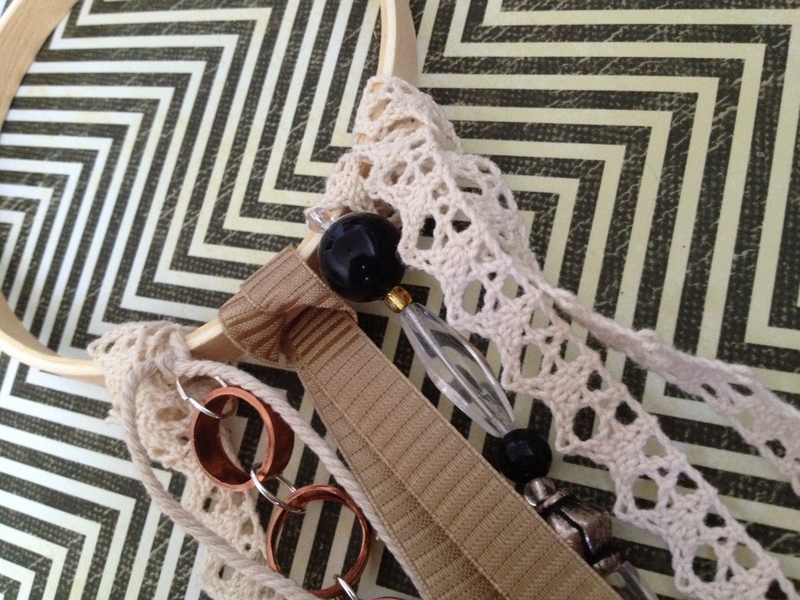 Then secured the doily in between the hoop pieces and tightened the screw. 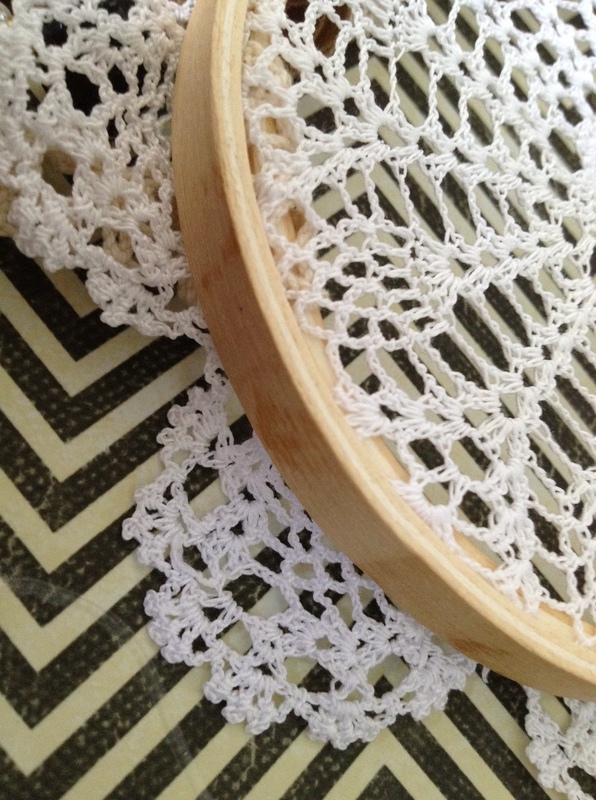 I trimmed around the edges of the doily, and made a loop from the twine as a hanger. There you have it! Project cost was roughly $4.